One of my aims for this year is to learn more about the special days of the year following the pagan calendar. I have always been interested in the changing of the seasons and the solstices, but I want to learn more. 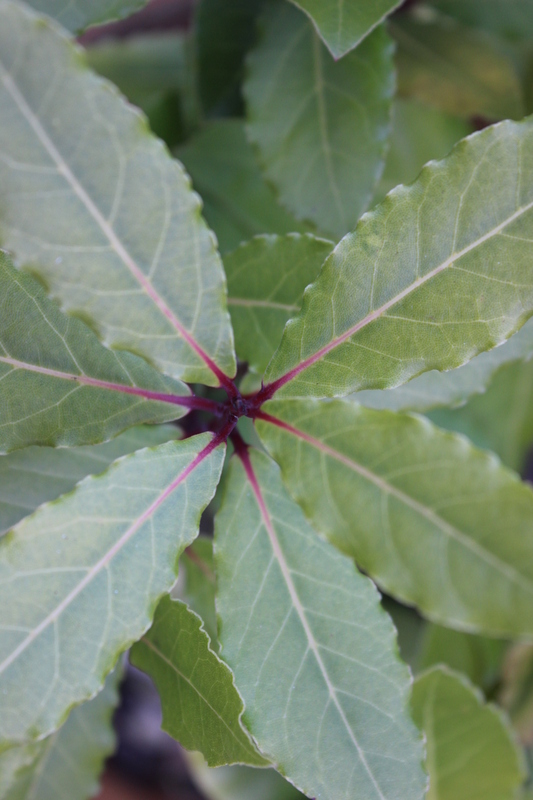 I plan to post on each special day this year with a reflection on what is happening in my garden and what I am up to. 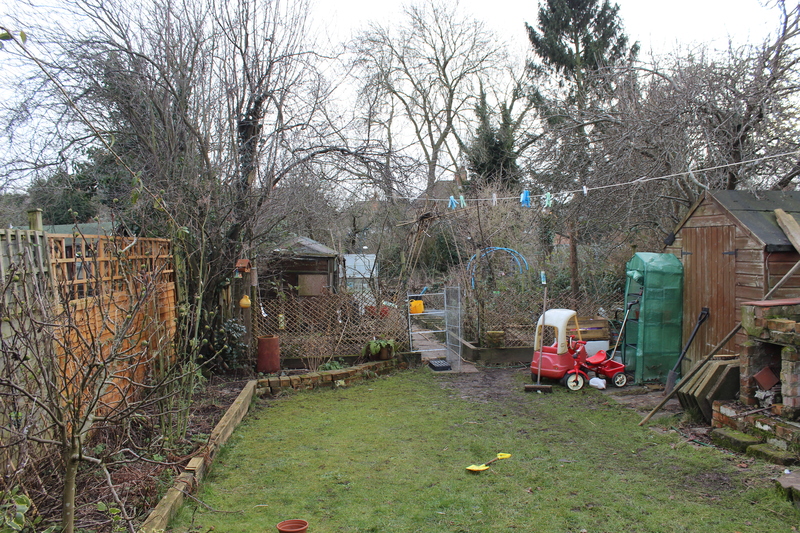 This is an extension of last years project, looking at changes in my garden each month. 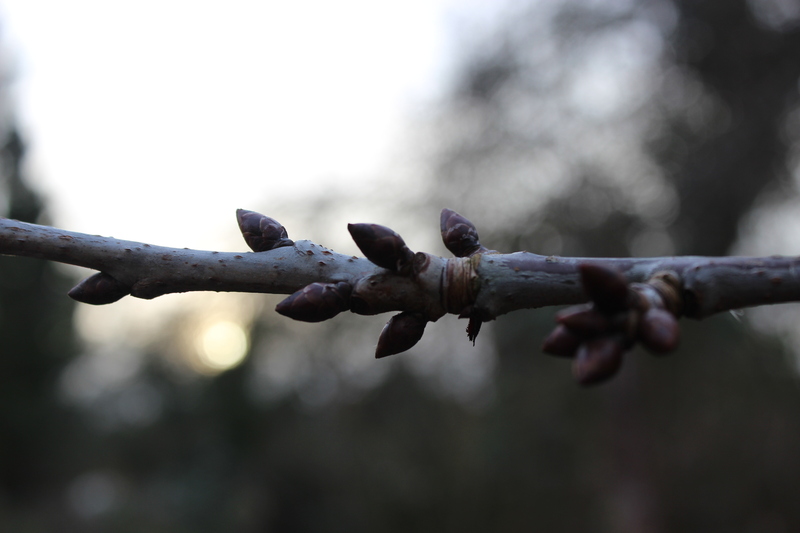 Today is February 2nd – Imbolc. 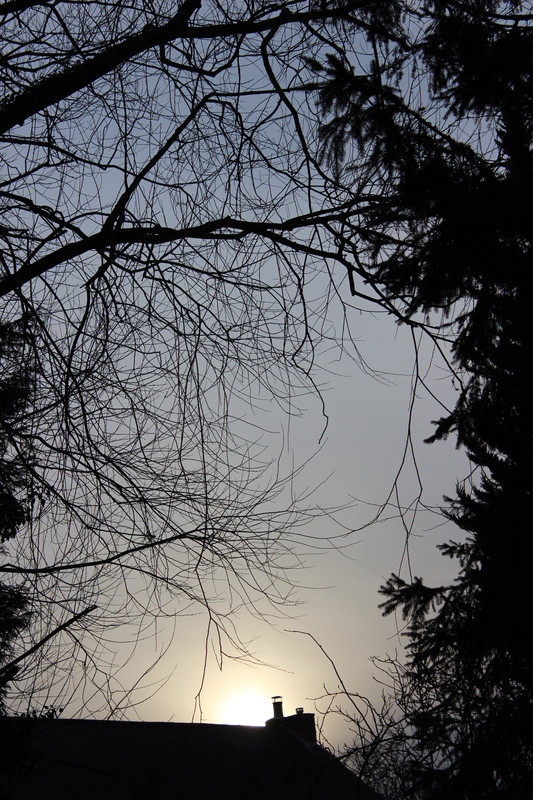 Today marks the midway point between the winter solstice and the spring equinox. 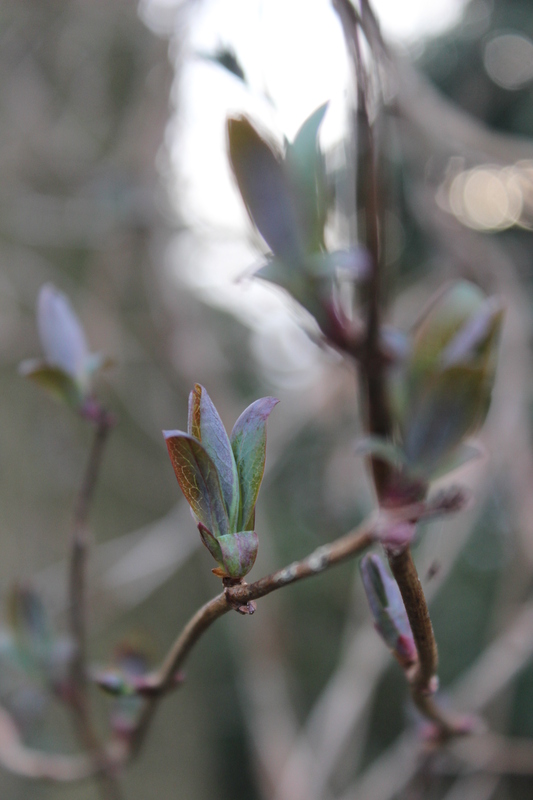 The days are visibly lengthening now and if you look very carefully, signs of spring are starting to appear. 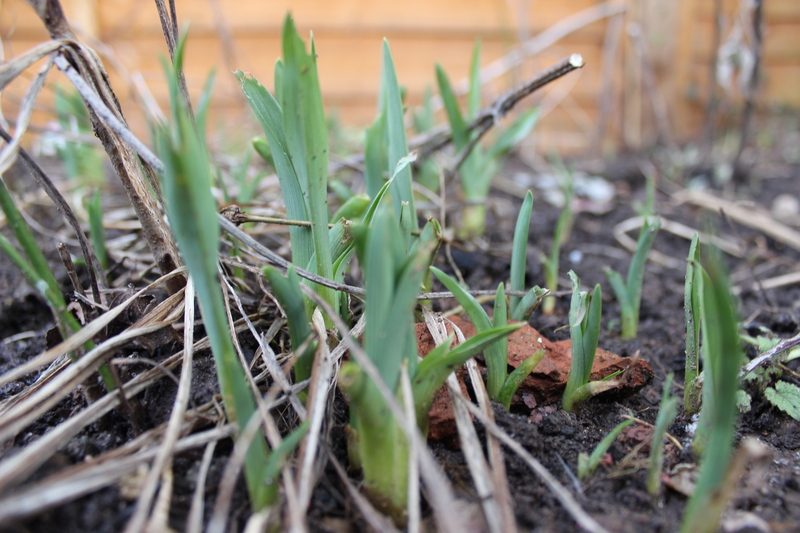 Bulbs are pushing their shoots up towards the light and tiny buds are beginning to unfurl. It is often the coldest part of the year, we had a scattering of snow a few days ago on my birthday. I am running in the mornings with the sunrise which is always beautiful and there is time now for the kids to have a brief play in the garden after school. 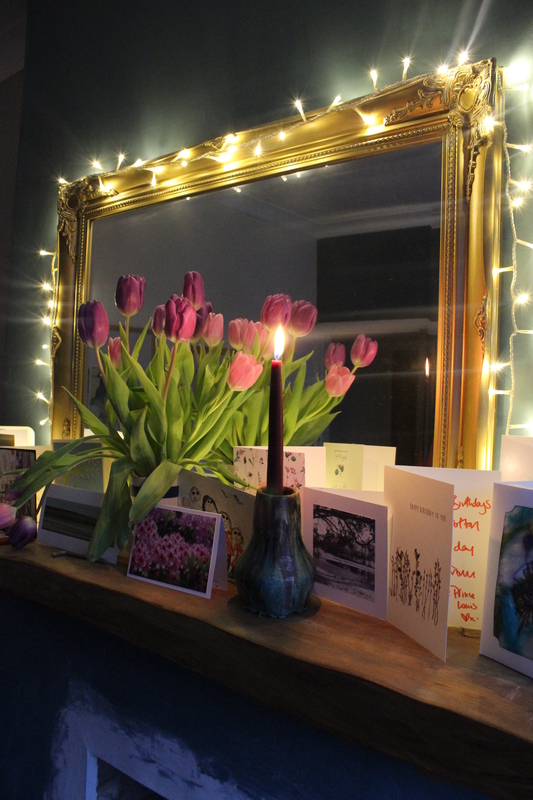 I have lit a candle tonight and plan to enjoy this quiet part of the year planning my activity during the warmer months ahead. The view down my garden today. 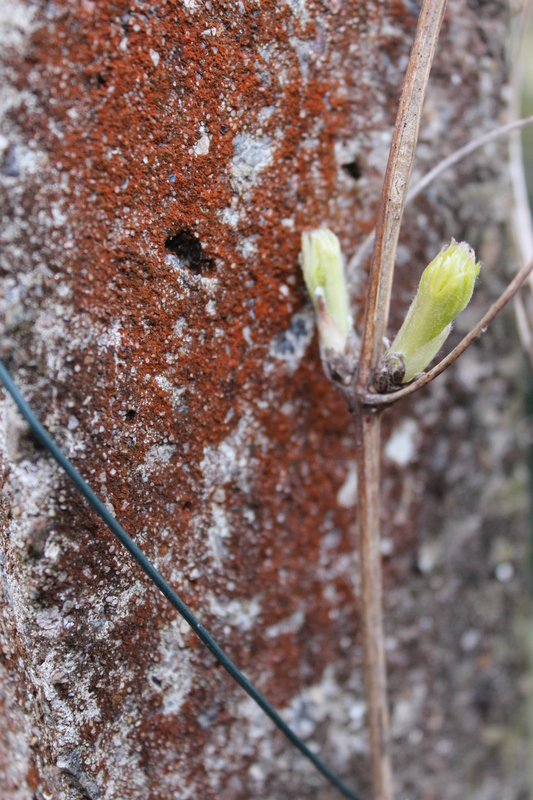 Noticing the buds on the clematis opening a little more each day. Planning our trip to Norfolk in a couple of weeks time. 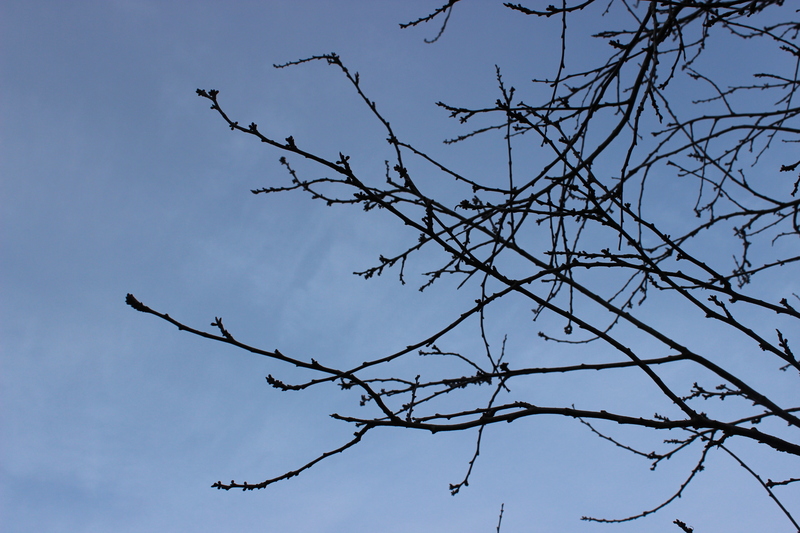 The branches of the ornamental plum-tree are looking fuzzy. This is always the first tree to have blossom in my garden. When it starts to look like this I love to cut a few branches and put them in a vase inside where the heat of the house makes the flowers open. Tonight’s dinner is a new recipe kfrom the ‘Oh she glows’ cookbook. I chose this for today to fit in with Imbolc as it is the colour and shape of the sun! This entry was posted in Uncategorized and tagged Birthdays, bulbs, Dinner, family, flowers, Imbolc, My garden, Pagan wheel of the year, plants, trees by emilycrofton. Bookmark the permalink.